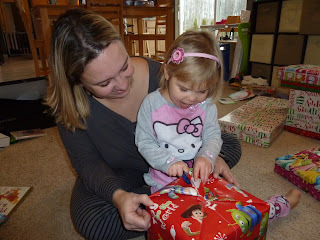 What an amazing weekend we had! 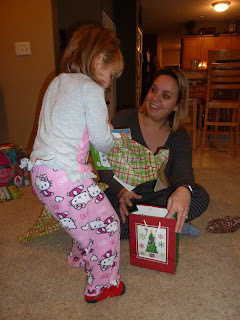 It's hard not having family close, especially at the holidays, but the three of us make the best of our time together. 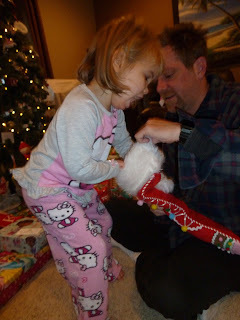 Christmas Eve day we ventured out to the mall and Annabelle got to sit on Santa's lap one last time. 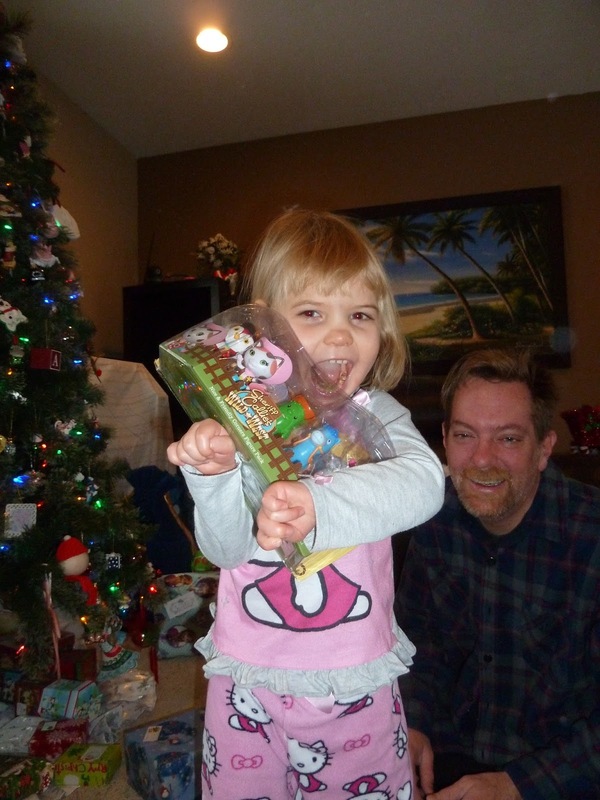 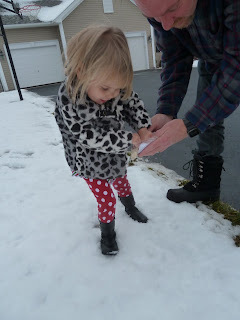 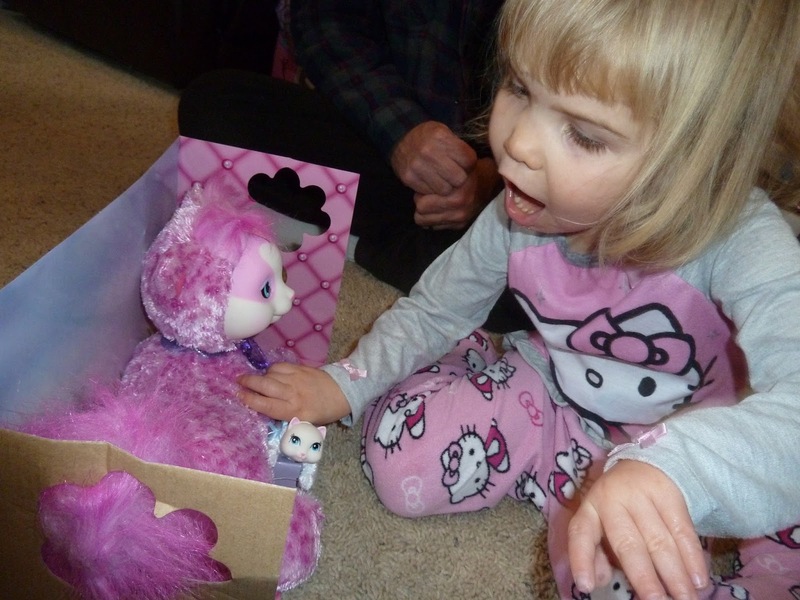 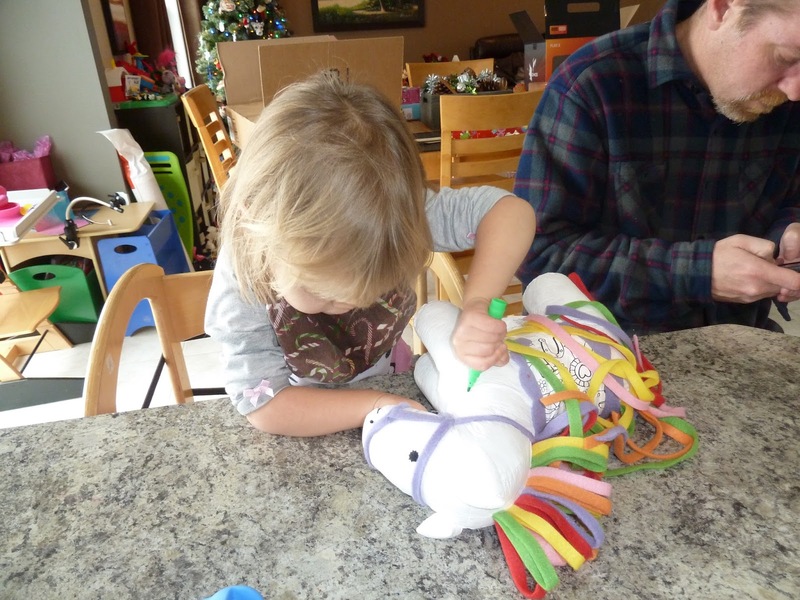 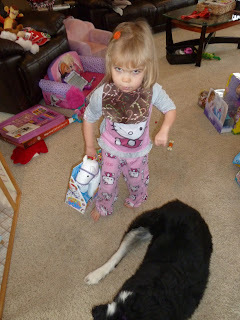 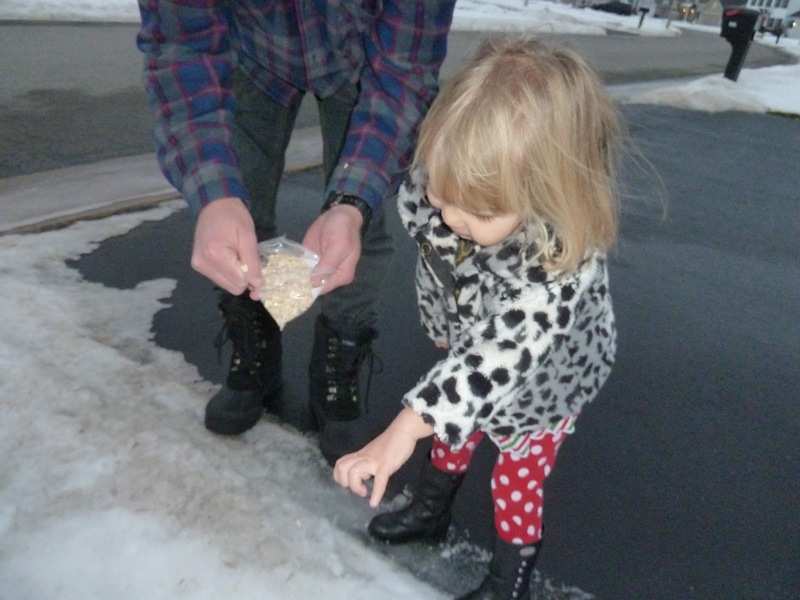 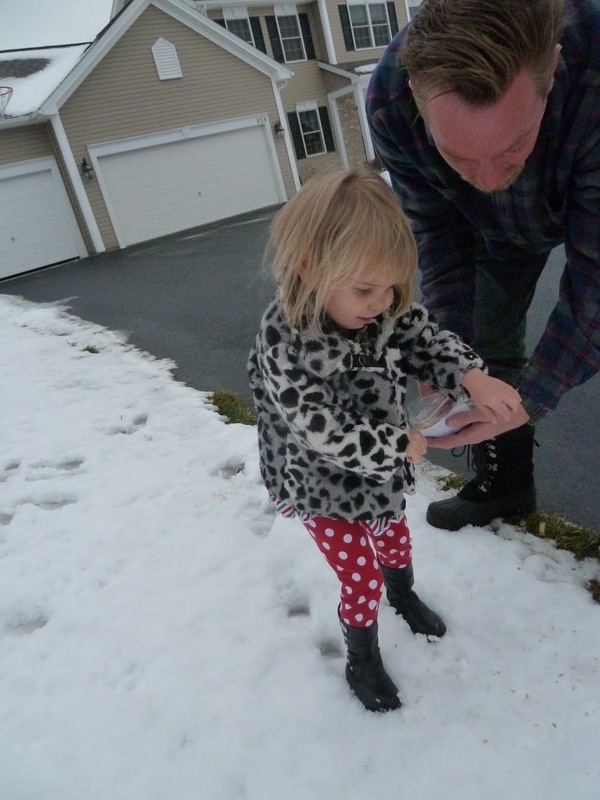 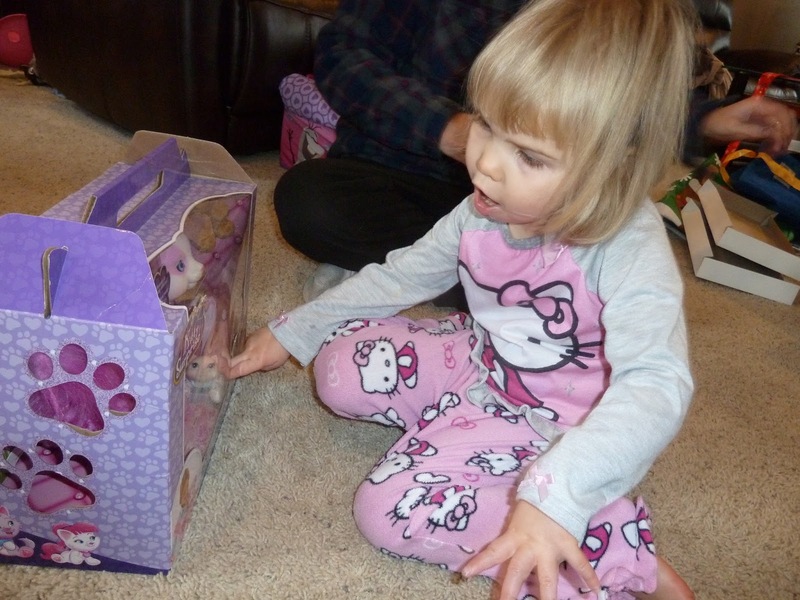 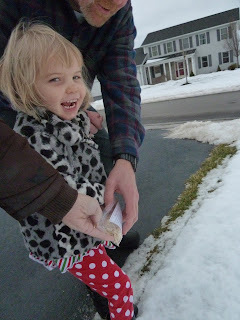 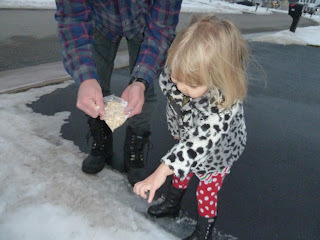 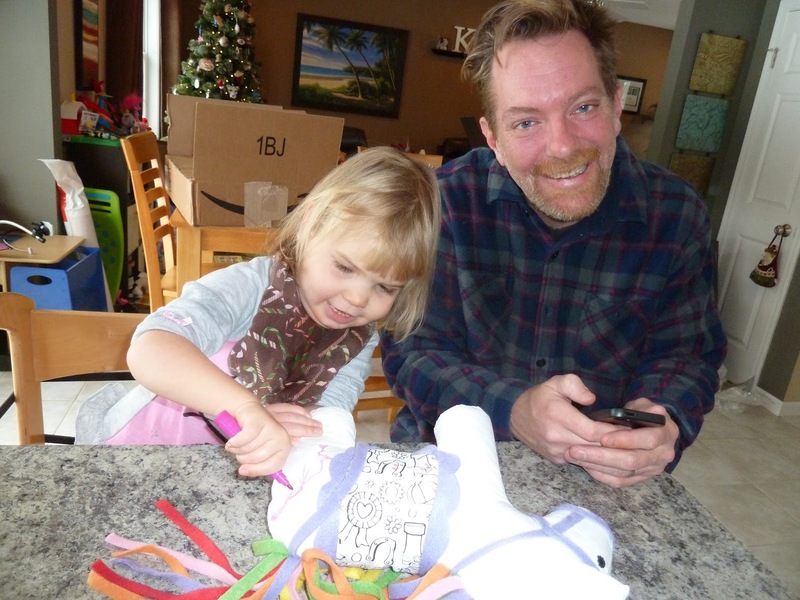 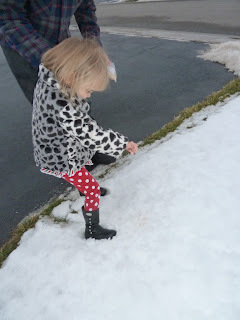 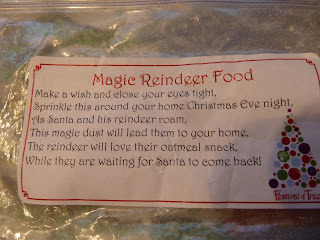 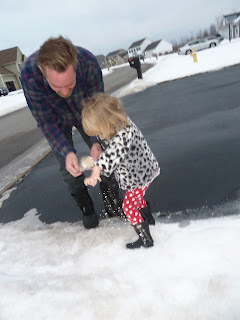 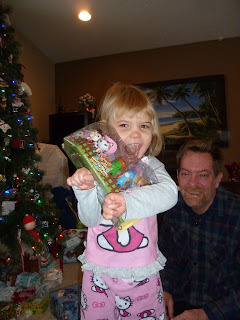 We went outside to sprinkle magic reindeer food in the driveway, Annabelle was so excited this year! 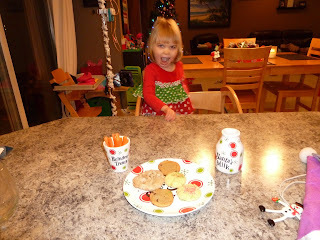 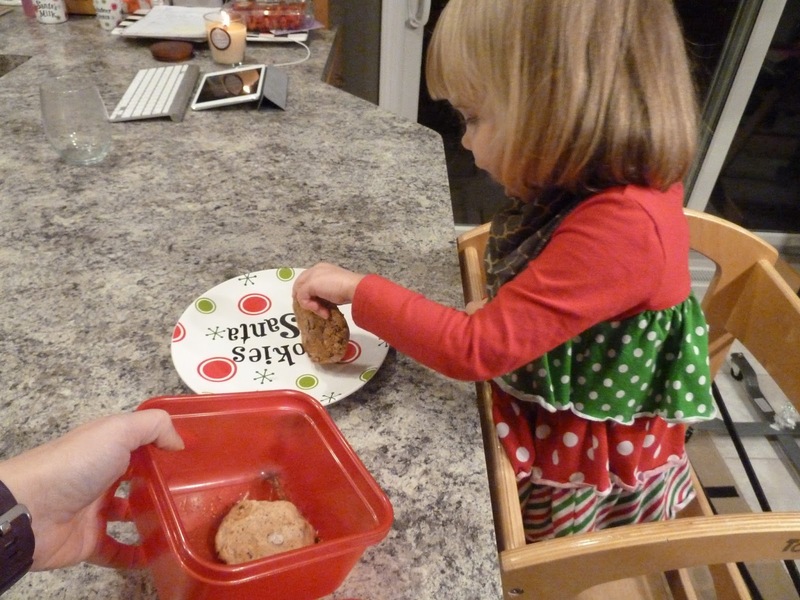 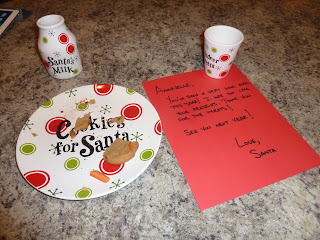 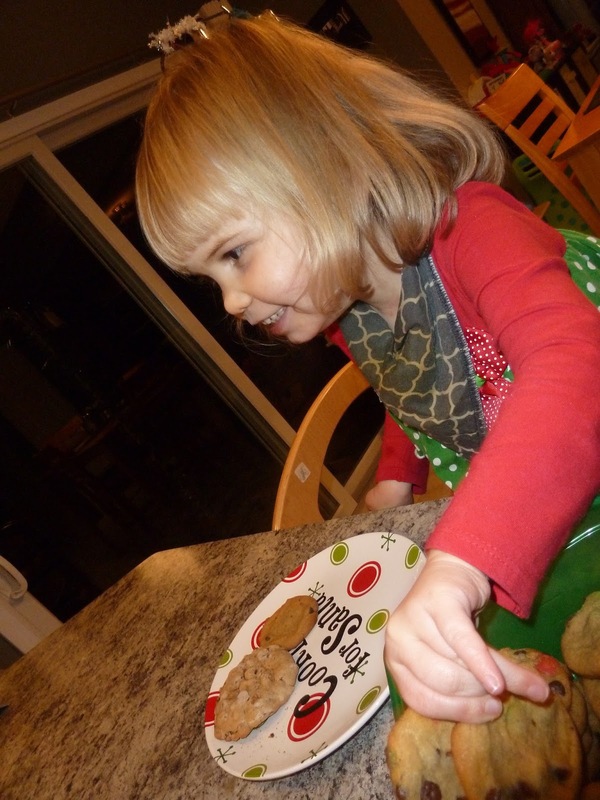 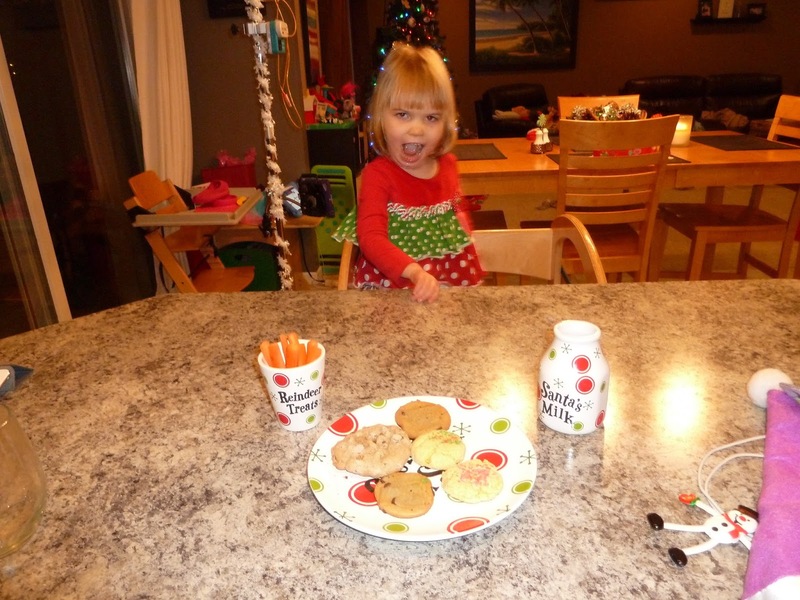 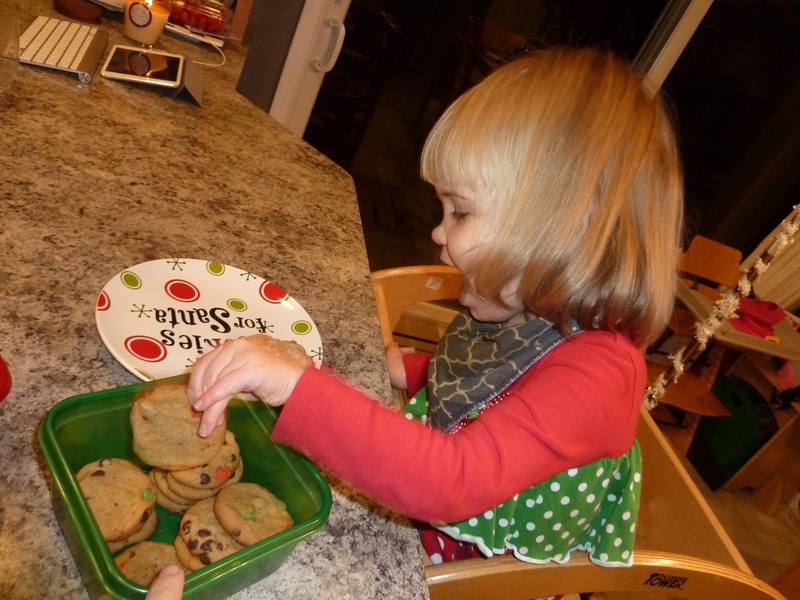 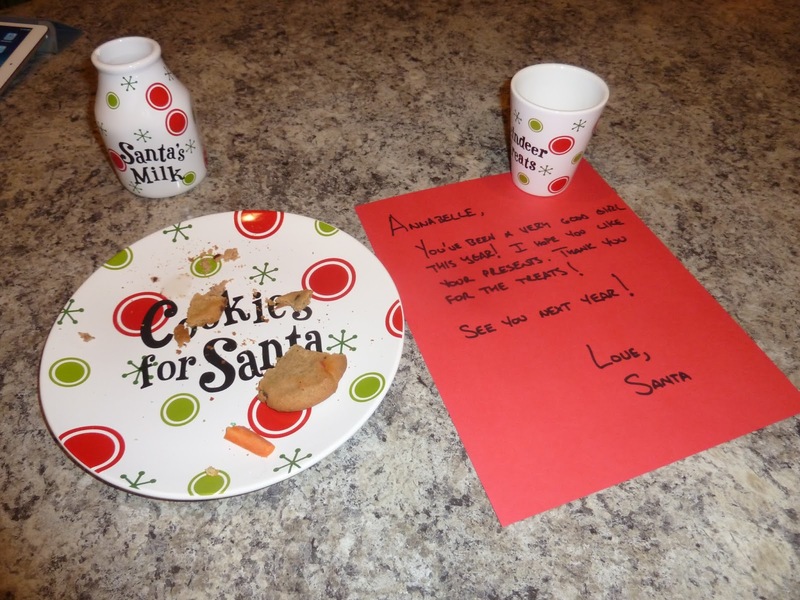 After dinner we set out cookies (dairy free for AB), almond milk and carrots for Santa and his reindeer. 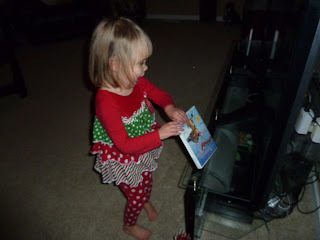 Then we watched Annabelle's Wish, a favorite movie we only watch once a year. 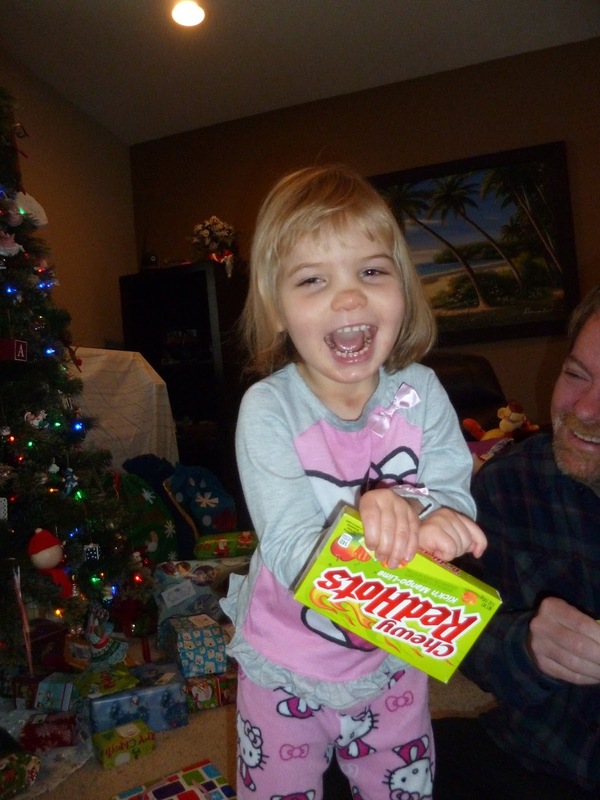 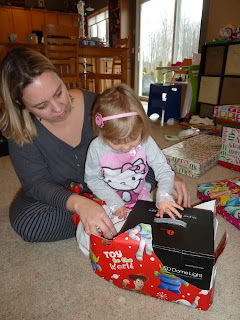 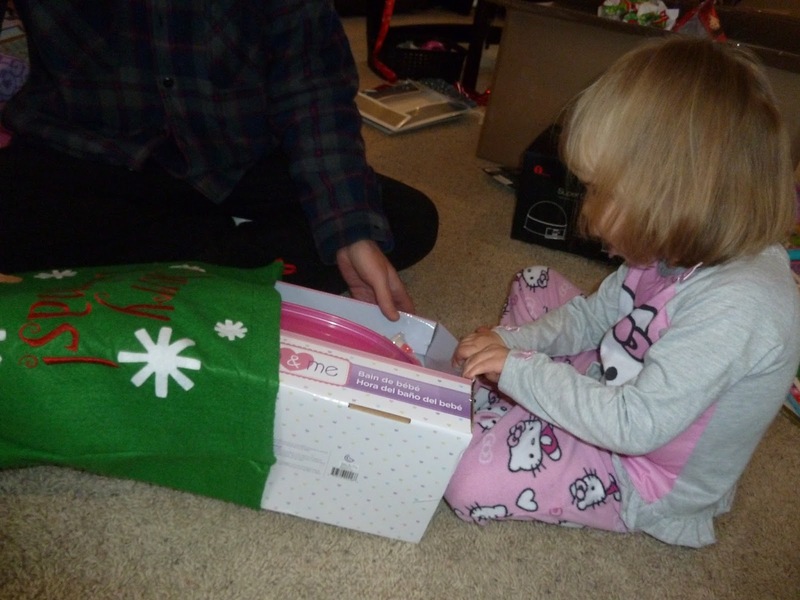 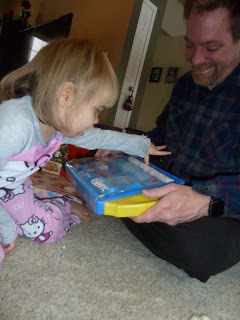 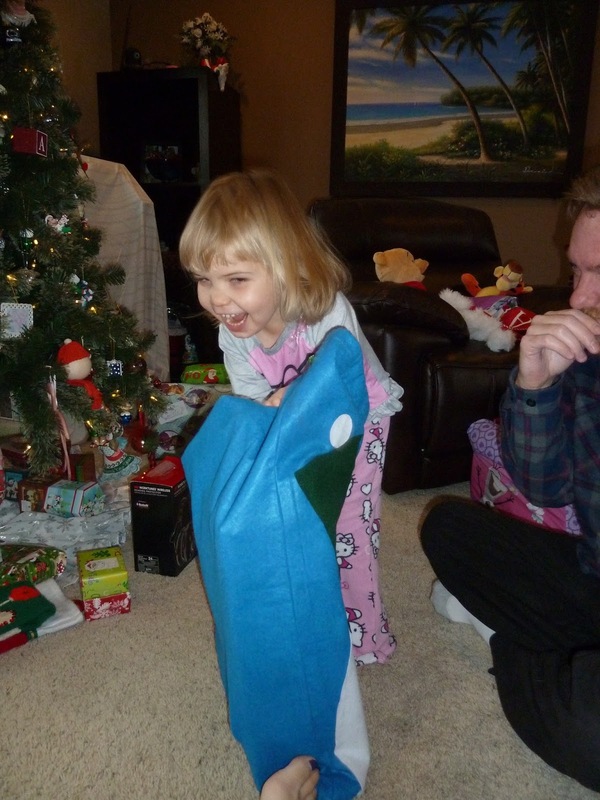 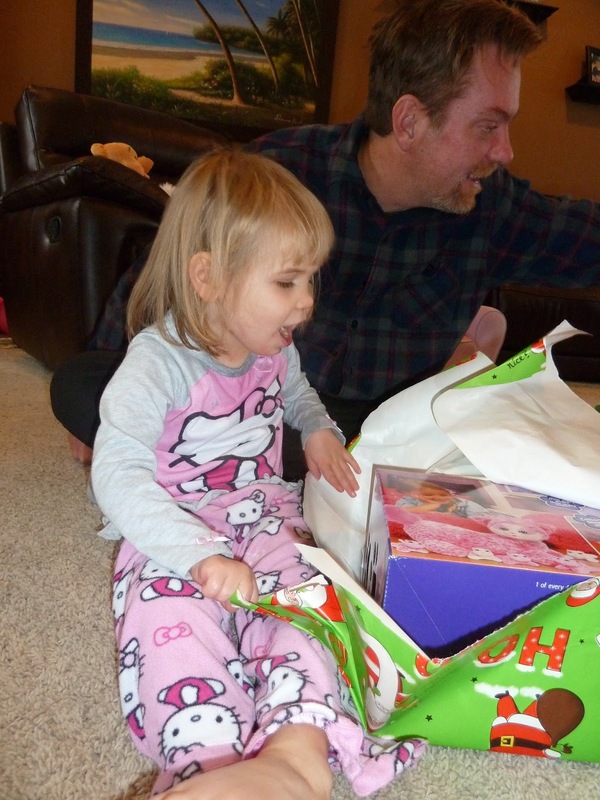 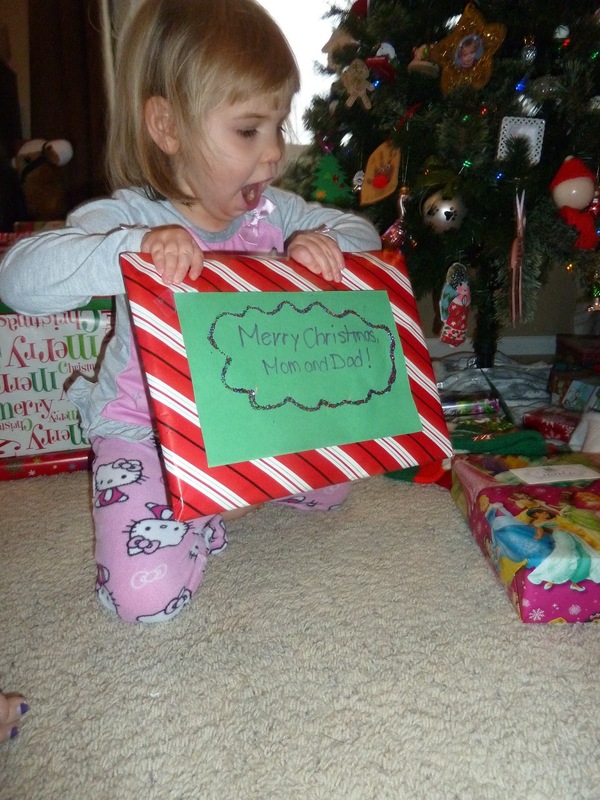 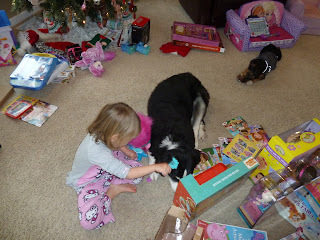 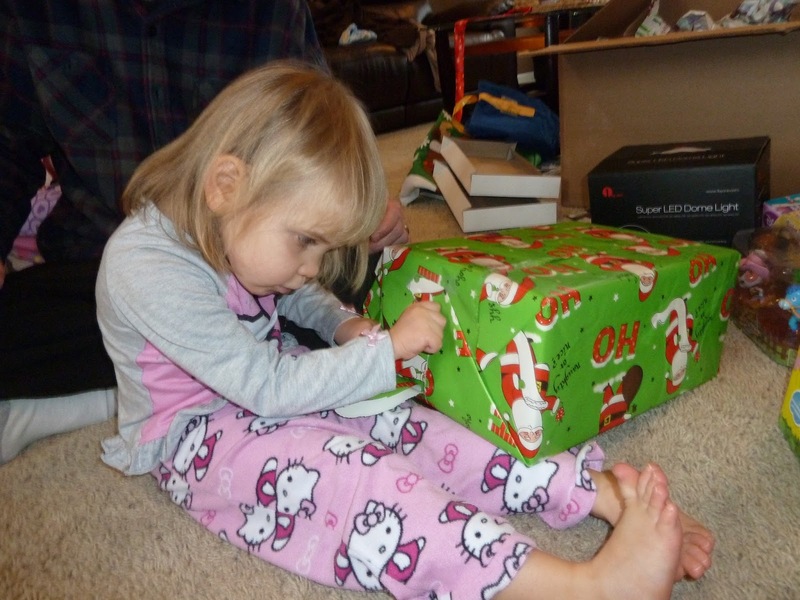 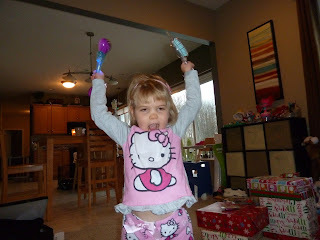 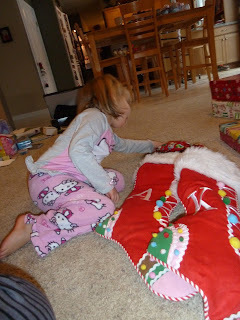 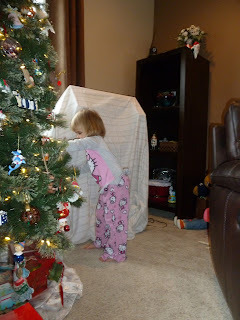 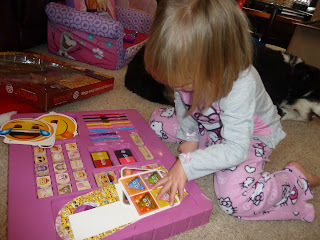 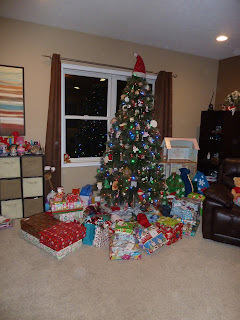 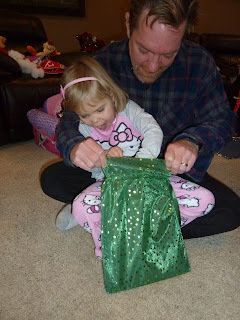 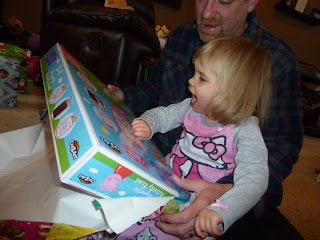 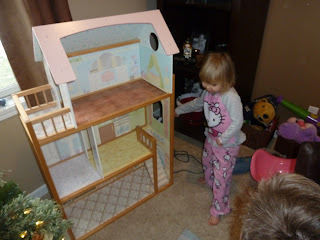 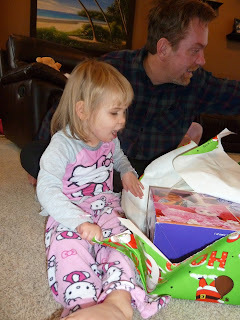 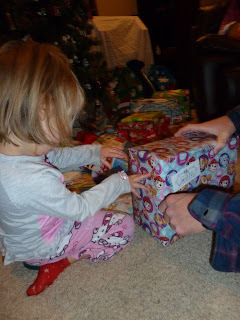 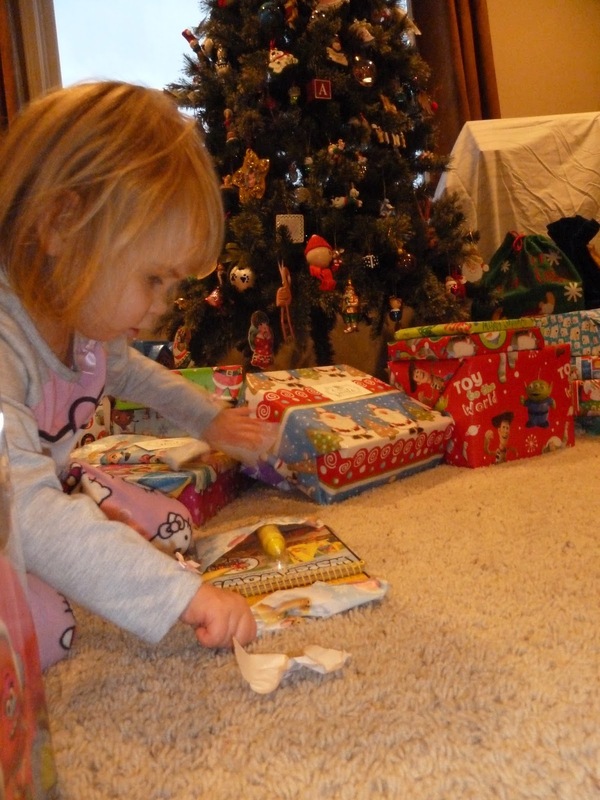 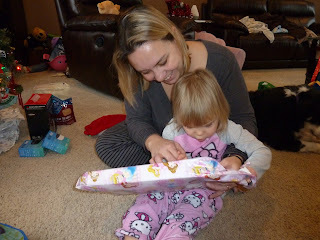 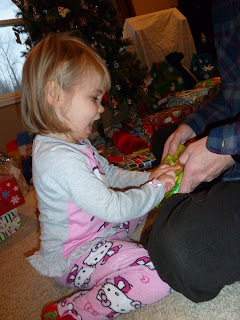 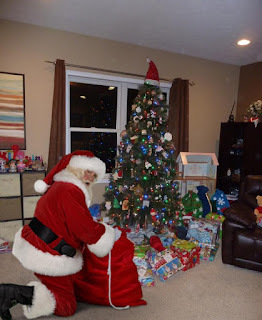 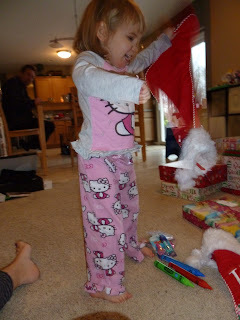 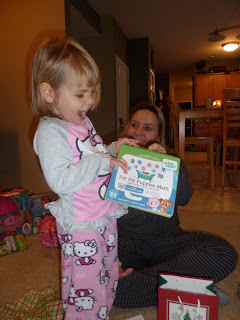 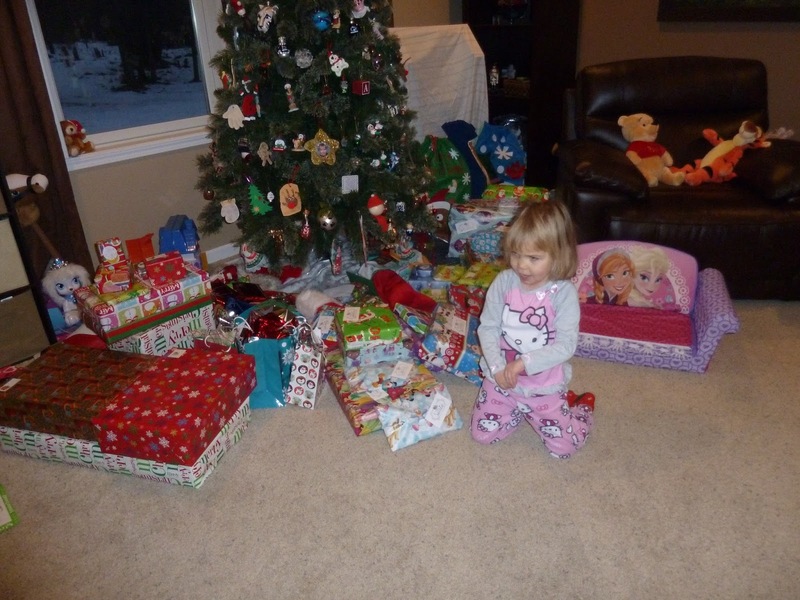 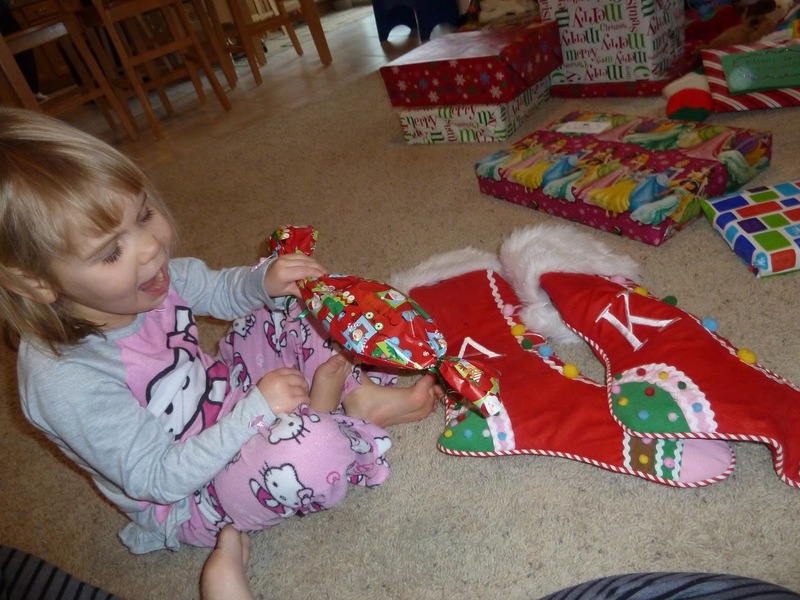 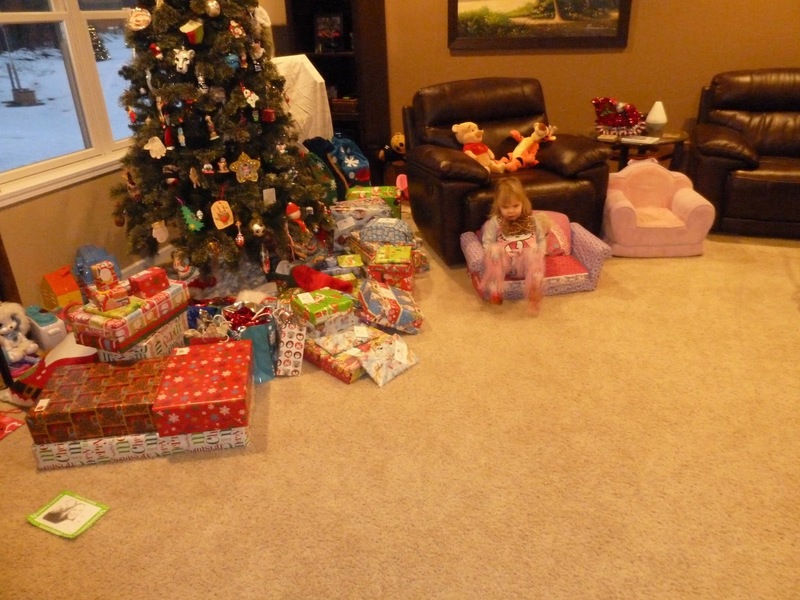 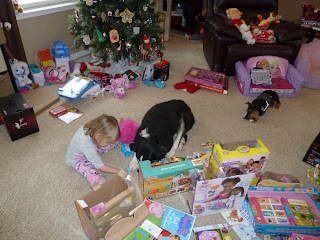 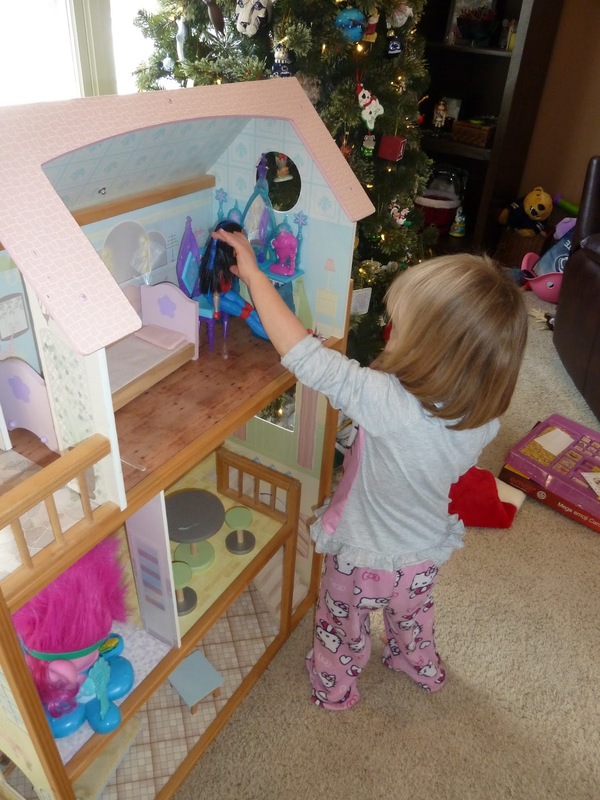 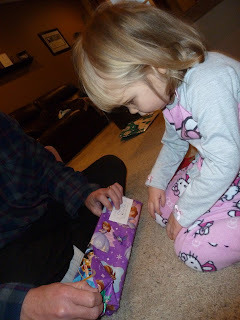 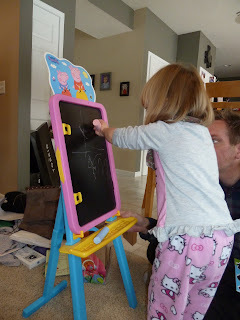 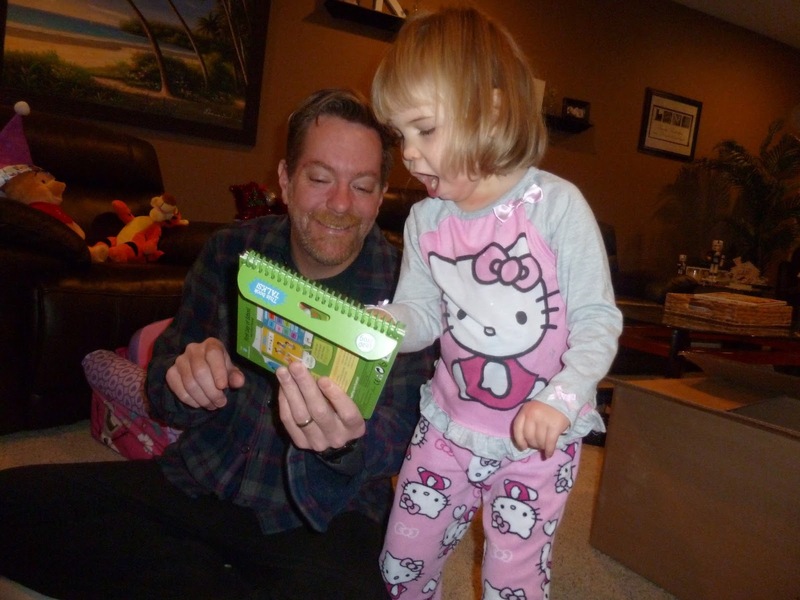 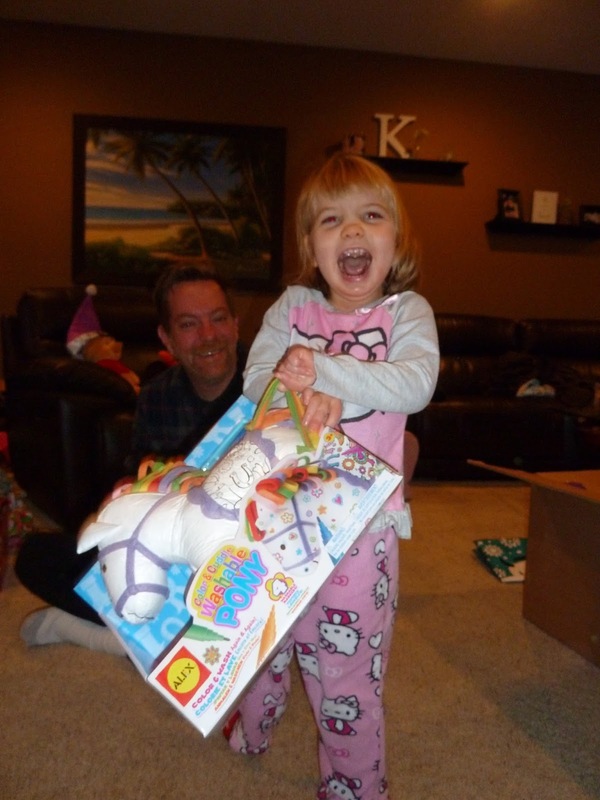 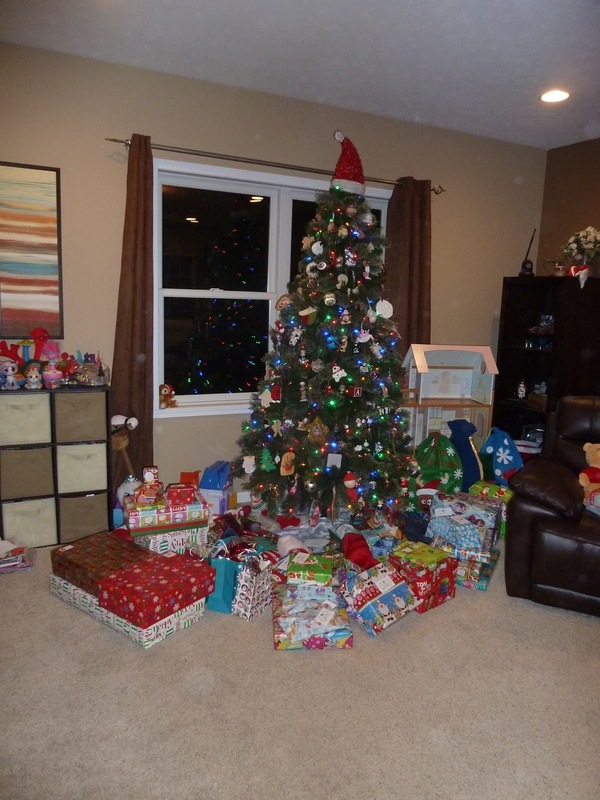 Annabelle slept in until 6am and was so excited to come down and see if Santa was here. 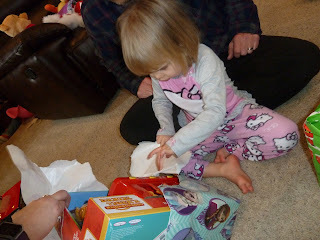 She had to eat before opening presents so we started opening around 7:30 and finished about 10. 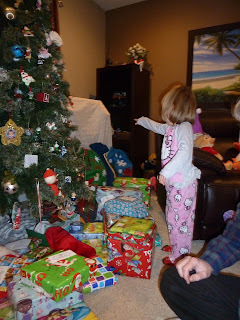 It's such a magical morning through the eyes of a child and we enjoyed every moment.